– Crisp Christmas screensaver for Mac OSX – Cheesy but good. The trial lasts for only 4 days but for some unknown reason, it is still running on our old iMac in the living room – and nooo . . I did not tweak it to run beyond its expiry date – must be a gift of God. – Bestest and Silliest and Funnest Christmas video download has to be Christmas Time (Don’t Let the Bells End) by The Darkness. I just downloaded the matching Christmas Time free ringtone. 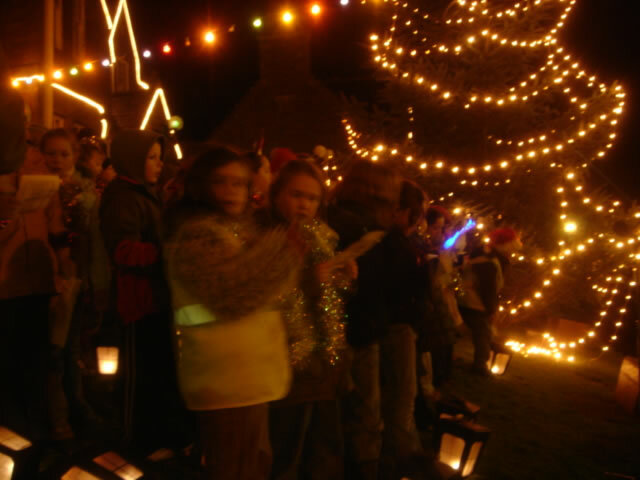 The lights are from the Christmas Tree Lighting Ceremony in Stromness, Orkney that happened earlier this month. 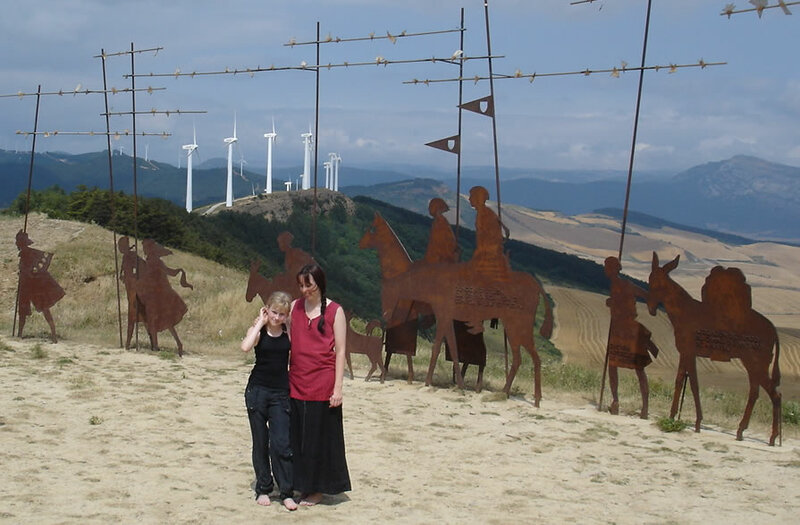 Those metallic donkeys and biblical looking characters are from a hill in Spain on the Camino de Santiago. We saw them in 2003, after trudging up that hill, and my daughter was there this summer with Cindy. Thanks Cindy for the photo. Makes me think of the circumstances of Jesus’ birth – the traveling, the uncertainty of accommodation and how similar that is to the kind of life God calls us into also. That video is great! What on earth are they wearing?!?!! Christmas time is great; so much joy and fun. To me, it is the best time of year. hey andrew… if you do the t-shirt (while i would suggest a new design) joe’s t-shirts are in (freedom clothing) and they are GREAT… really good quality and great fit and design… not your normal campaign t-shirt. so … he could hook you up! thanks also for the link on the pixel thing! So Andrew at TSK sugests adding tags to all of your old blog posts. I am going ot do that, but I want to use the taxonomy similar module … so that it can suggest tags based on how I have already tagged stuff.